With all the confusion in Medicare today, it is difficult to understand what each of the three main plans offer. Below we have detailed these plans and their sub plans to help you determine which would be best for you. Today, original Medicare -- Parts A & B -- have been expanded upon and now the entire program encompasses not only Parts A & B, but also C, D, and Medigap insurance. The parts not included as part of the original Medicare plan -- Parts C and D, and Medigap insurance -- are combined with the original Parts A & B to create a more complete plan. You will find each individual part described in further detail below. Medicare Advantage is a plan that is offered by private insurance companies yet provided to those companies by the government. While you will be a client of the insurance company, they will be receiving a flat rate from the government every month to provide you with the services you need. That rate will vary depending upon your specific situation. These insurance companies are known as Medicare Advantage Plan Providers and they must abide by the rules established by Medicare. Cost and coverage between Medicare Advantage Plan Providers will vary, so you will need to compare their costs and services to ensure you are getting the best value for your needs. The only addition that Medicare Part D provides to the Original Medicare plan (Parts A & B) is the coverage of prescription drugs. However, even though this is the only difference, Prescription Drug Coverage plans still widely vary depending upon the different premiums found within the plan, as well as co-payments and the actual prescriptions that you need. Because of this, you will still need to compare different providers to determine who will best provide you the most appropriate service at an ideal cost. It might be easiest to remember what Medigap offers by simply remembering its name -- Medigap covers the gap of what you need by providing the health care costs that the original Medicare does not. The different services and health care needs are standardized by Medicare and are differentiated using letters A through N, where each letter indicates a particular type of health care or health care service. 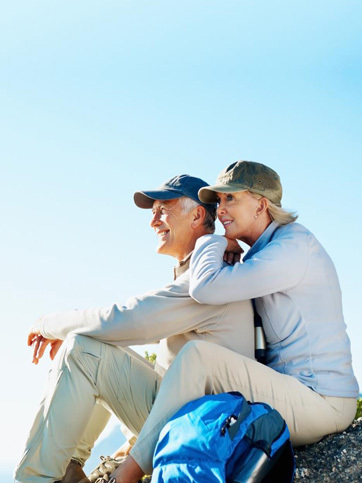 To find out what each plan covers, speak to a licensed professional or check-out the helpful chart provided by the Centers for Medicare and Medicaid. Just like other packages, private insurance companies offer coverage for these health care services under the Medigap umbrella, but each company will provide it at a different cost. Because of this, it is extremely important that you carefully review each company to find out who will give you the best service at the lowest cost.